And the land under the lake. 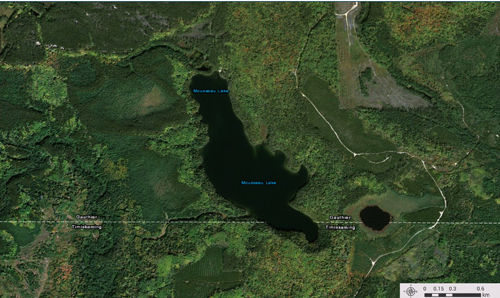 Thats right you will own your very own private access lake. 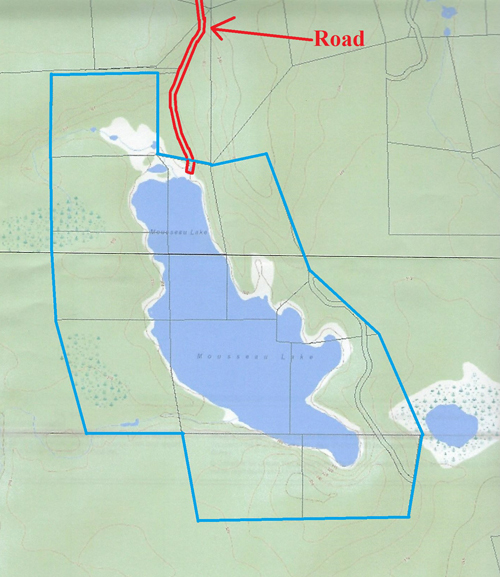 No public access, no other private land owner access, no crown land, nobody gets to the lake unless you let them in. You own every property on the lake! 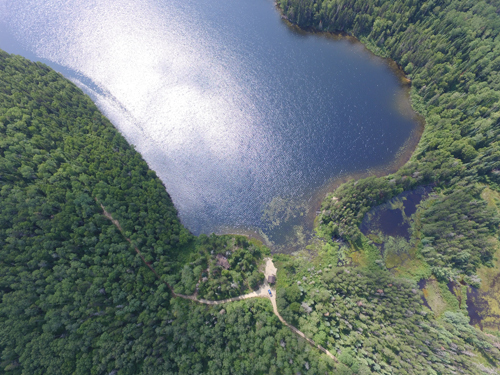 Mousseau Lake sits in the middle of 200 kilometer long Munro Esker, created by the receding glaciers. It is miles of sand, sand on all four shores of this eye catching jewel of a lake. 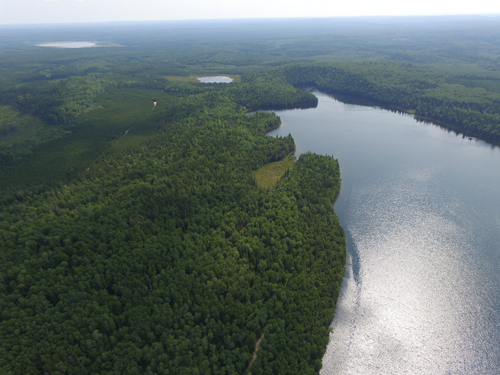 It is a perfect Natural Lake Trout and Speckled Trout Lake, all your very own. 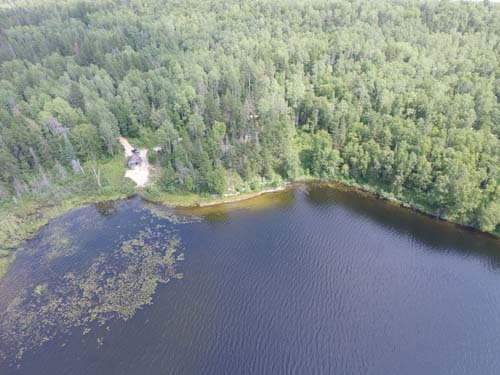 This massive property has road access from the north to Route 66 between the towns of Kirkland Lake and Larder Lake Ontario where you can get supplies easily. 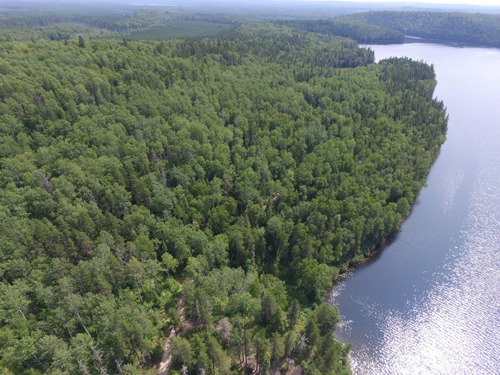 This property has an amazing 430 acres. It has approximately 13,000 feet or 4,000 meters of shoreline. That is approximately 2 miles of shoreline! 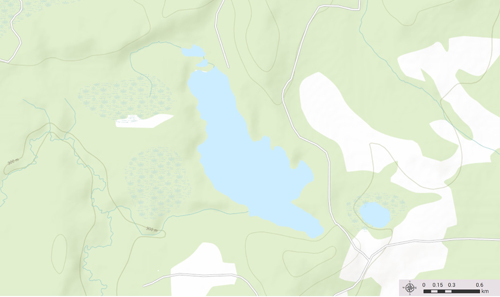 The lake is approximately 400 meters (1,500 feet) wide and 1.4 kilometers (4,500 feet) long. 2 old worn out neglected log cabins are located on the north shore, put some time and work into them and bring them back to life. Moose are seen on these shores often. 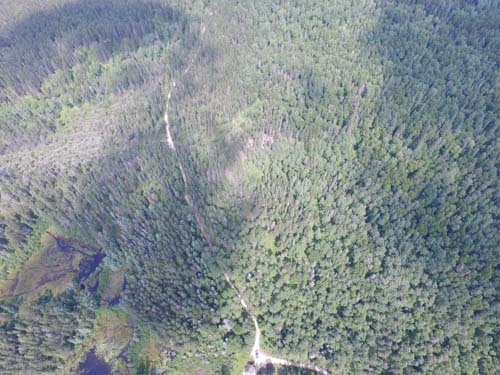 Crown land is to the south, east and west for miles. 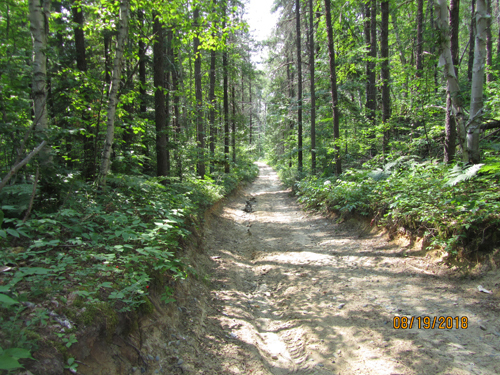 Thousands of kilometers of bush roads and trails are located in every direction to explore daily. Large Pines trees dominate the landscape, as well as Spruce, Poplar and Birch. 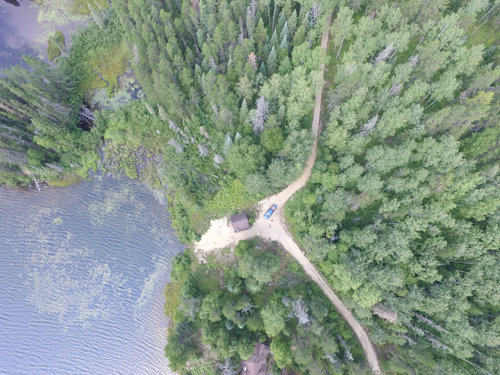 The lake is long enough to land your float plane to bring in your family and friends for a spectacular fishing hunting and exploring experience. The closest cabin to this property is a couple kilometers away, ensuring total privacy. 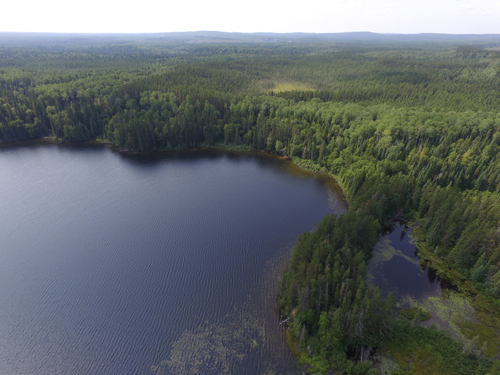 There are only a few properties in Canada where you own the entire lands surrounding a lake, in the deed it also states you own the land and the land under the lake, ( a very rare exception). The grounds are sandy and produce unlimited amounts of blueberries, you and 20 people could not pick all the berries on and around this property, there are just too many. This lake is far enough away from a towns lights to impede your view of the night sky where you will not believe how many stars there are and the clarity of the northen lights will astound you. 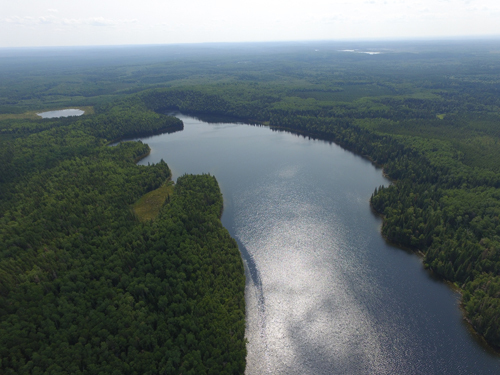 The waters are crystal clear as it is a spring fed lake because of the pure Esker sand that surrounds it. 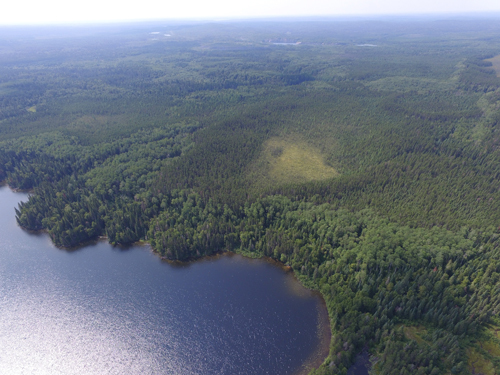 This is a great opportunity to own an entire lake, just imagine the privacy.